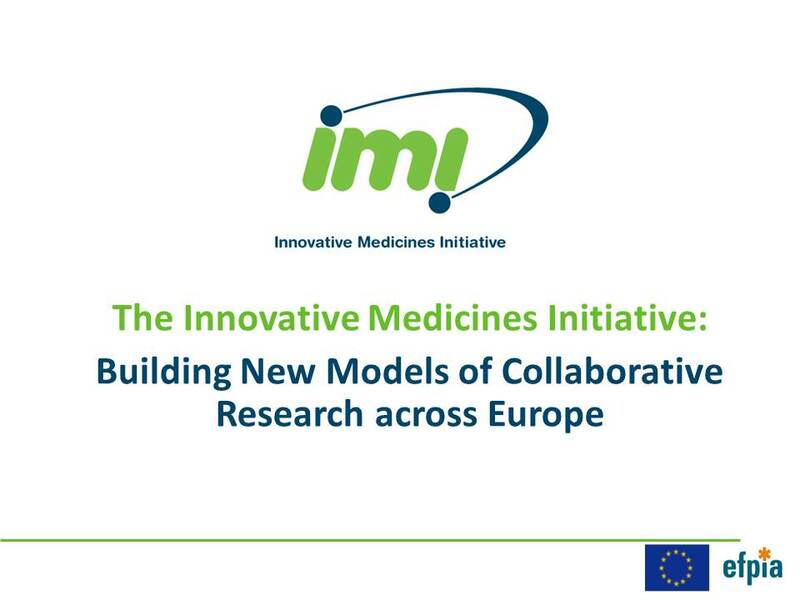 The Innovative Medicines Initiative (IMI) is Europe’s largest public-private initiative aiming to speed up the development of better and safer medicines for patients. IMI supports collaborative research projects and builds networks of industrial and academic experts in order to boost pharmaceutical innovation in Europe. IMI is a joint undertaking between the European Union and the pharmaceutical industry association EFPIA.